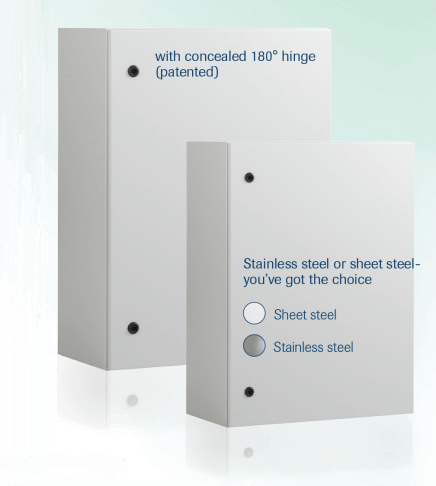 Häwa wall-mount enclosures are available in powder-coated sheet steel, stainless steel 1.4301 or any other suitable material of your choice. An opening angle of 180° as well as a protection class of up to IP66 offer almost limitless possibilities – also for your application purpose. Wall-mounted enclosure with single or double door. Optionally with or without mounting panel. Grounding according to DIN EN 61439-1, grounding bolt M6x16 on door and body. 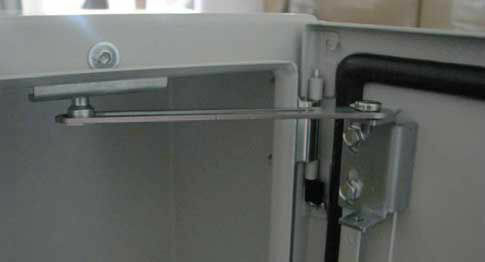 Flanged edges on the door frame (26.5 mm) and a narrow door gap prevent dirt and water from entering the cabinet when opening the door. Door with seamlessly foamed gasket; single door variant: standard right hinge door. Double door variant: right door leaf overlaps. Concealed hinges made of stainless steel, opening angle 180°. Closure: up to a height of 400 mm with one turn lock, from a height of 401 mm with two turn locks, from a height of 801 mm with 3-point locking; standard actuation 3 mm double-bit. Doors with a width from 300 mm and a height from 400 mm have on both sides bolted reinforcement/ hole profiles with fixing drillings in 25 mm increments for screws size M5. 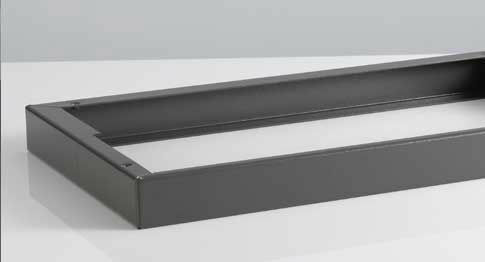 Only sheet steel: from a width of ≥ 400 mm and a depth of ≥ 200 mm with external cable entry panel(s) on the floor made from sheet steel (size 1: LxW: 355x155 mm; useable area: 325 x 125 mm: size 2: LxW: 555x155 mm; useable area: 525x125 mm). Fixed using Gefu screws M4 with Torx T20. Mounting panel on the back panel, max. 10 mm depth adjustable. Edged mounting plate is positioned in fixed position. Wall mounting: back panel with 4x9 mm holes for installation of wall mounting brackets. Sheet steel with improved pre-treat ment through iron phosphating and rinsing in demineralised water as well as eco-friendly powder-coating. Stainless steel 1.4301 outside brushed finished. Maximum installation depth of 16 mm or 26 mm with edged mounting panel (20 mm). Grounding according to DIN EN 61439-1. Salt spray test according to DIN 50021 – 500 hours. Surface finish sheet steel: Powder coating RAL 7035, slightly structured. Material: sheet steel / stainless steel 1.4301 mounting panel sendzimir galvanised. Mounting panel: 2mm; from enclosure width/height 600x600 mm, 2.5 mm, from a height of 1000 mm edged 20 mm. Approvals: cUL, application procedure running for GL, GOST. Scope of delivery Enclosure complete with mounting panel and its fixing parts as well as one key. Depending on dimensions – with cable entry panel(s). Note Closure using a compact handle, prepared for profile half cylinder. Other modifications on request.